Hrithik has been one of the most wanted actors in Bollywood and he is shooting for his upcoming movie Mohenjo Daro. The film is said to be a periodic drama which is being directed by Ashutosh Gowariker. The shoot of the movie is currently going on in Gujarat and Mohenjo Daro is being made on a budget of Rs 250 crores. Ashutosh Gowariker is leaving no stone unturned for the film and the flick has been made on a budget of Rs 250 crores. Mohenjo-Daro is the costliest ever film made in the history of Indian cinema. Pooja Hegde is playing the female lead in the film and Ashutosh Gowariker Productions along with Fox Star Studios is producing the movie. Roshan has been quite confident on the movie and he has pinned huge hopes on Mohenjo Daro. He has been injured several times during the shoot and he has been advised bed rest which delayed the shoot of the film. The talkie even has a huge dose of visual effects and the movie has been planned for release on August 12th during the Independence Day weekend. As per the sources, Hrithik has been on bed rest as he injured himself during the shoot of the movie. He will retain the shoot in March once he recovers completely. Sources say that HR has been spending time listening to scripts and is spending time with his family completely. The latest news is talented filmmaker Sanjay Gupta roped in Hrithik Roshan for a film which is said to be a love story. The film has intense love episodes which impressed Roshan. Highly impressed by the script, Rakesh Roshan stepped ahead to produce the film. The movie is currently busy with the pre-production work and the regular shoot of the film is expected to start from the mid of March. The biggest challenge is finding the female lead for the movie. Though the makers considered many actresses, none of them have been finalized because of several issues. 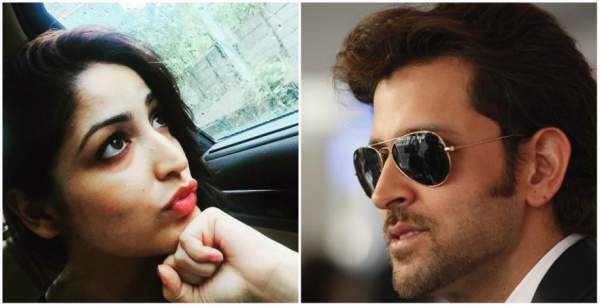 Parineeti Chopra, Kareena Kapoor Khan, and Shraddha Kapoor have been approached for the movie and all the actresses left Hrithik in deep shock. The makers at a point of time felt to shelve the film and everyone has been surprised that Hrithik Roshan has been struggling for an actress. The latest news is that Yami Gautam has been roped in to play the female lead. Sanjay Gupta and Rakesh Roshan felt that she is the best choice for the character. Yami has been quite excited with the script and she signed the film on the spot. The movie will be shot in a three months continuous schedule and will hit the screens during December this year. Rakesh Roshan will produce the movie on Filmkraft banner. Previous articleAlia Bhatt To Romance Shahrukh Khan, Kunal Kapoor, Ali Zafar?